The past month has been a busy and rewarding time for Keech. 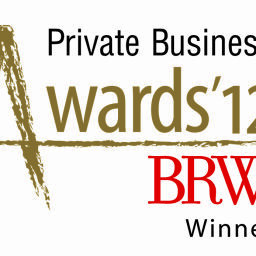 Of particular note, we were awarded the prestigious BRW Award for the most successful private business in regional Australia. The award recognises our growth over the past three years and our ongoing commitment to the Australian manufacturing sector, despite the industry downturn. See more about our award here. We also had the opportunity to showcase our commitment to the manufacturing sector at the inaugural Australian Manufacturing and Farming Program (AMFP). The initiative, launched at Parliament House in late August, saw us talking to politicians from both sides of the fence about the medicine20 manufacturing sector and the role that we play both as an employer and from a research and development perspective. We hope to strengthen the relationships we established on the day, as we share our knowledge of manufacturing and the important role private companies like Keech play in Australia’s economic future. For more information on our involvement in the AMFP, take a look at the news coverage on this website. In this edition, we bring you news about our global reach and export focus, along with information on the newest member to join our team, Brad Clarke. Brad’s appointment will enable us to strengthen the level of service we provide to the mining sector. Read more about Brad here.